I am an Abraham Lincoln groupie. He is my biggest hero. I have a huge collection of books and Lincoln memorabilia, my daughter, Abrielle, was named after him as was one of our family dogs. And by blind chance, my son Justin was born on his birthday. I often visit the Lincoln Memorial and stand in awe of his magnificent eloquence and his legacy of honor, courage, compassion, humility and humor. He was a courageous and inspirational leader who really believed in democracy — a government of the people, by the people, for the people. Empathy and compassion were in his blood. He felt the pain of others as deeply as any man could, yet duty made him a leader of our nation’s bloodiest war. One of his boldest and most significant acts as President was to devise and issue the Emancipation Proclamation transforming slaves into free citizens, but I’m certain he never could have imagined that our country would elect a black man as our president. Sadly, he did not lead a happy personal life. He lost his mother, a beloved stepmother, a woman he intended to marry, and a son he adored to various diseases, and he had a tumultuous marriage to an unstable and difficult woman. Though often depressed by feelings of inadequacy, he never shirked the huge responsibilities of his office. He often thought of himself as unworthy, yet he was one of the worthiest men who ever lived. I’m very ambivalent about Lincoln. 650,000 men died under his presidency. Was and is the union that important? I think not. Lincoln would have been truly great had he stood up to the blood curdiling sense of righteousness that gripped so many northern liberal protestants at that time, and said that he would not initiate a war just to satisfy their perverse gravings to feel morally purified. Michael, It is obvious that you haven’t studied the life and political ambitions and actions of Lincoln deeper than what most history books report about him. I would encourage you to dig into the real history of the giving him credit for the “freeing the slaves.” You might find that he had a political side very similar to the warped politicians of today. But similar to todays general public reporting, he was puffed up by media reporting and made more of a hero than he deserved. I appreciate the fact that Lincoln was flawed, like the rest of us. But that does not keep me from appreciating his good qualities. 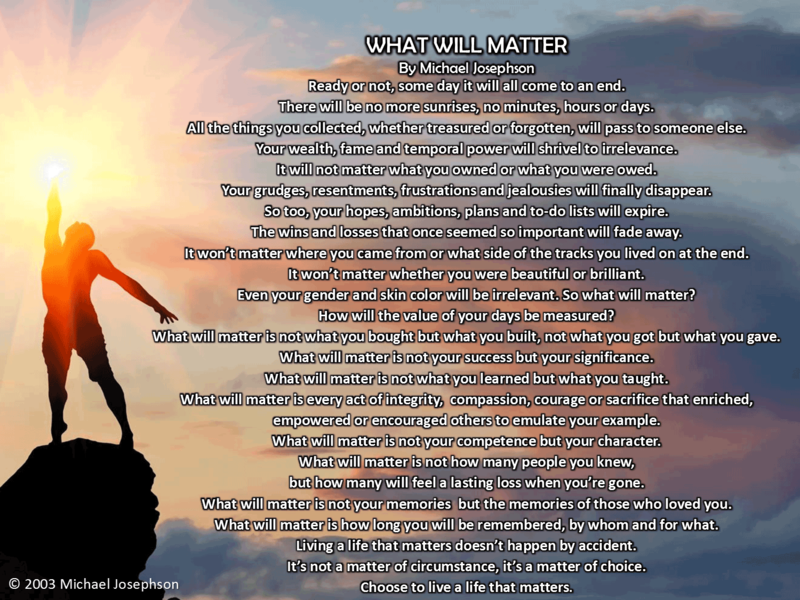 I appreciate the reminders from this blog about the good that he did. As for the many thousands who died during the Civil War, surely some of the blame goes to the Southern cause as well. What if Robert E. Lee had stayed faithful to the Union, in whose army he served? The war would probably have been much shorter. And why blame the liberal abolitionists for the Civil War? Their motives may not have been pure, but that does not make slavery right. If you scratch the surface of any of us, you will find flaws. Our job is to do what we can to work on those flaws. I enjoyed reading your post, Michael. Your description of President Lincoln shows that he exhibited both of those perspectives, as well. His relationship skills shaped his social and political prowess. Attentiveness and responsibility are part of the care ethic. He showed this by his love for his intimate relationships and by his need to take care of his responsibilities. As you pointed out, Lincoln demonstrated compassion, honesty and humility and was an eloquent communicator. The ethic of justice weighs competing rights and seeks to find fairness. President Lincoln’s fight to free the slaves showed his desire to weigh the rights of the slaves vs. the rights of the slave owners and strive for justice. His strong belief in democracy underscored this sense of justice. Johannesen, R. L. (2008). Ethics in human communication (6th Edition ed.). Long Grove, IL: Waveland Press, Inc. 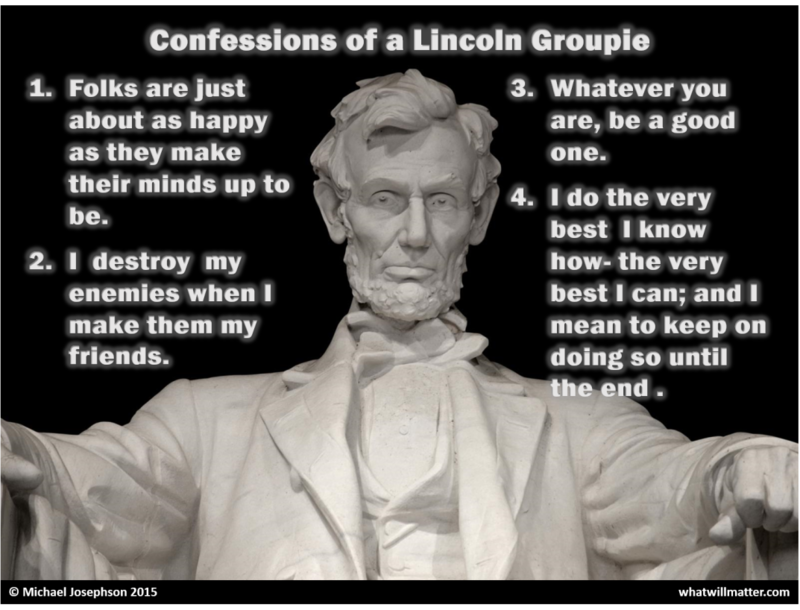 I, also, am a Lincoln groupie. Many folks, including my own daughter after her first Political Science class in college, declare Lincoln “just another” or “just like” any other or most politician(s). Definitely not true. He was one of a very small number of truly great leaders in recorded human history. One author, Jacob Needleman, in “The American Soul” said Lincoln was the only truly adult President our Nation has ever had and came closest to doing all that it took to move the country toward the IDEA and the IDEALS of its brilliant founders. Morals, humility, patience, intelligence, political skill, resolve, and genuine sacrifice (eventually his life which wouldn’t have surprised him) to resolve the most pressing issue ever facing our nation and many minor ones. Anyone approaching his qualities(e.g. Eisenhower) would probably not get very far in either major party as they both seem to demand shallow idealogical purity.